Are you new to Office 365 for business? Watch this video to learn about it. Then follow these steps. Go to Office.com and choose Sign in. 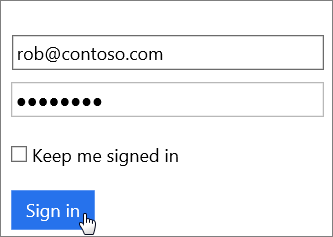 Type your Office 365 email and password, then Sign in. 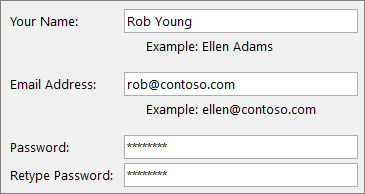 Tip: If prompted for a password change, use letters and numbers/symbols. Choose Install Office 2016 in the upper right. In Chrome, go to the download on the bottom of the page and choose Open. In Microsoft Edge/IE, choose Save then Run. If asked to allow the app to make changes, choose Yes. Let Office setup begin. 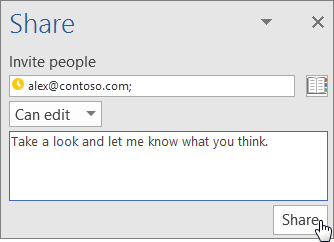 Open Outlook 2016 on your computer. In the Tell me field, type account then Add Account. Type your name, email, and password then Next. Tip: To import your old email, export it to a PST file, then import it, like this. Save documents to OneDrive from the Save As menu. Or copy files from your Desktop or Documents to OneDrive. 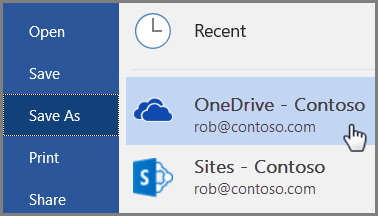 Tip: You can also store files on sites in Office 365. Share your documents with others by choosing Share. Type their email address, choose read or edit, include a message and Share. Or choose Get sharing link on the bottom of the screen. Get Outlook on your phone from App store or Google Play store. Open it, and choose Get Started and add your email and password. Or, open Outlook on an iOS or Android device and go to Settings. Choose Add Account then Add Email Account then type your email and password. On a Windows Phone, choose Settings > Email + accounts > Add an account then Exchange.